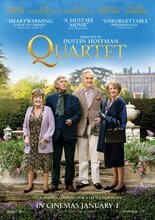 Film adaptation of the British play of the same name follows the goings-on of several inhabitants of a home for retired musicians up to and immediately following the arrival of an unexpected visitor. At the fictional Beecham House, a retirement home for elderly gifted musicians, a cast of former opera singers and representatives of other sonic pursuits continue to maintain involvement in their lifelong professions in some manner or another. When the home begins to plan for their annual concert celebrating composer Giuseppe Verdi, they find their usual dealings interrupted by the arrival of Jean, a diva with past romantic entanglements directly concerning another member of the home.